We’re excited to bring you this FREE recording, Talking With The Plants with Sean Donahue. 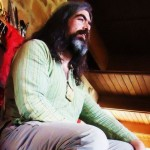 This mp3 recording provides a groundwork for Sean’s approach to herbalism in general, focusing on building one’s relationship with the plants. Sean teaches that “what is this plant good for?” is the wrong question; rather, Sean invites us to rethink what it means to work with plants, to approach them on their own terms as living, breathing beings with their own intelligences. We have to learn to let go of our mechanistic approach to seeking out certain plants based upon what symptoms they will soothe, and instead realize that it’s really about being in relationship with the plants. The deeper our relationship with the plants on their own terms becomes, the greater the potential for transformation. Or if you prefer, you can download it directly and save it to your computer, iPod, or other audio device. Some of you who are themselves or have loved ones who are healing breathing difficulties might also be interested in our Herbal Strategies for Asthma program. Look for more collaborations soon between Sean and Bardic Brews. Sean Donahue is not a medical doctor, and none of the information contained in this recording is intended for use in the diagnosis, treatment, or cure of any medical condition. Listeners are advised to consult a health professional before beginning to use any herb. We are very happy to bring you a brand new product: Herbal Asthma Strategies with Sean Donahue. After the success of the Lore And Craft of Mead book, we wanted to broaden our product range. While herbalism is one of the foundations of our meadmaking method, this new product is a foray into herbalism rather than fermentation. Herbal Asthma Strategies with Sean Donahue consists of 7 audio lecture recordings in mp3 format (over 100 minutes of audio total), as well as a concise booklet that outline Sean’s approach to dealing with asthma. He developed these strategies with his own life experience. They were effective enough to have a profound effect on Sean’s life, leading him down the path of becoming an herbalist. He no longer considers asthma to be a part of how he defines himself, and has helped many other people with their asthma. The program begins with teachings about what asthma is, in terms of why the body responds to certain stimuli with the tightness, wheezing, and difficulty breathing associated with asthma. So the first step is to learn which triggers to avoid, in order to prevent the body from responding with breathing trouble. One very important trigger point is diet, which is discussed in detail to help you determine which dietary choices will improve your quality of breath. In addition, Sean discusses the critical — and often overlooked — emotional component of healing associated with those who no longer have asthma, which may explain why some people “grow out of” asthma and others do not. Lastly, Sean gives a breakdown of 13 Herbs for Asthma, discussing the virtues of each plant along with where and when it is appropriate to employ each one as part of your asthma strategy. As you can hear, Sean’s teaching style is quite gentle, heart-based, and thorough. Lastly, we believe healthcare of all kinds are a fundamental right for everyone, so as of Imbolc, 2012 we are reducing the cost on this program to just $13.99! Sean Donahue is not a medical doctor, and none of the information contained in this booklet or the accompanying recordings is intended for use in the diagnosis, treatment, or cure of any medical condition. The term asthma is used here in a general, colloquial sense, not as a term for a medical condition. Readers and listeners are advised to consult a health professional before beginning to use any herb. I’m very excited for an upcoming product announcement that will be a departure for Bardic Brews. In the past, all of our work has been about fermentation in general, and mead in particular. However, despite my love of mead and fermentation, it was never my intention to keep the focus of this website so narrow. Herbalism is a big part of my meadmaking strategy; I have incorporated herbs into my concoctions from the very beginning. And indeed, herbalism has been an increasing part of my life since this website began. This new publication, which will be released in the coming days, is also near and dear to me personally. I’ve had asthma since I was a small child, and have struggled throughout my life to keep it under control so that I can live the life I wish to live with minimal impact from the asthma. For this new, upcoming product, I am teaming up with Sean Donahue, to bring you a packet of information called Herbal Asthma Strategies. Sean, who deals with asthma himself, has used these strategies to improve his own health, and to help many other people — including me. I can’t tell you how excited we are to bring this information out to the public. For people like myself who have struggled with asthma their entire lives, being reliant upon the steroid-based products of the pharmaceutical industry, this information is a life-changer, empowering us to increase our health naturally, affordably, and sustainably. This publication will consist of several high-quality audio recordings (in mp3 format so you can put them on your portable player), where Sean discusses the nuances of his strategies in detail, as well as a more concise booklet summarizing the information in the recordings. Best of all, this information will be extremely affordable. It will cost less than most other asthma remedies commonly in use, and the information contained within will never run out, it can be used for the rest of your life. And, because we want to make this important information available to everyone, we will be offering it on a sliding scale. Watch this space for the official announcement and launch coming later this week!